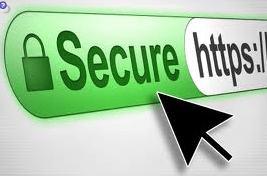 It is true that SSL adds a layer of protection. But, anybody can generate an SSL certificate and we know of cases where malicious websites even made use of stolen SSL certificates. Always check that the website is the one you want and always make some research about it before you buy. These any many other tips can be found in the free eBook “Improve your security”.